If you are a caregiver, this guest post from Sarah Forgrave will be especially encouraging to you. 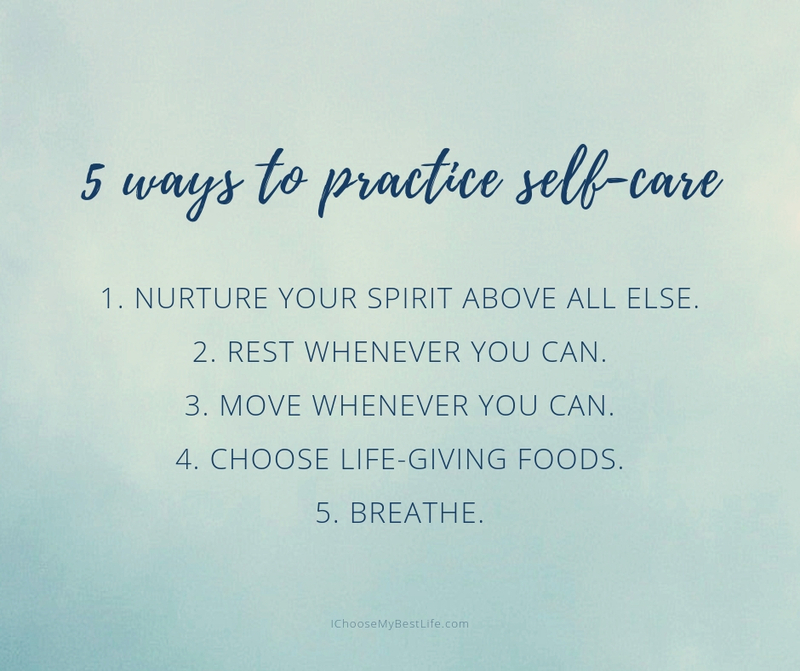 Although the self-care tips are practical and helpful for everyone, I believe they’ll truly impact your daily life if you take them to heart. The role of caregiver is important, and I want you to know that it matters. What you do matters! But don’t forget to take care of yourself, too. If there’s one season of life that demands everything we have while also draining everything we have, it’s caregiving. Caring for someone with physical needs often involves being available 24/7. Your schedule is turned upside down. Your body tries to keep up with all that’s required on far too little sleep. Your emotions wear thin while you’re expected to be the strong one. And your spirit becomes parched as time with God slips lower on the list of urgent must-dos. 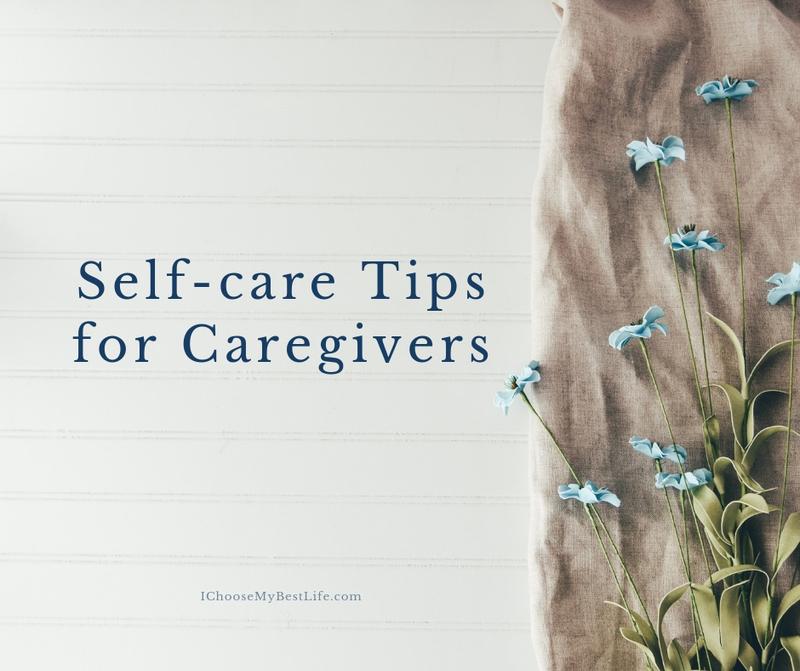 Having been through caregiving seasons myself, I know it’s far from easy to make self-care a priority. Yet it’s more important than ever to take care of myself when someone else needs me to be strong. So how do we as caregivers prioritize self-care and make sure we aren’t giving from an empty tank? As a former wellness and nutrition coach, this is a question near and dear to my heart. 1. Nurture your spirit above all else. I recently interviewed a group of caregivers, and the resounding message from each of them was that nurturing your spirit isn’t a nice-to-have. It’s a must-have. Some of them said they sacrifice their personal to-do list to prioritize Bible study and prayer time. 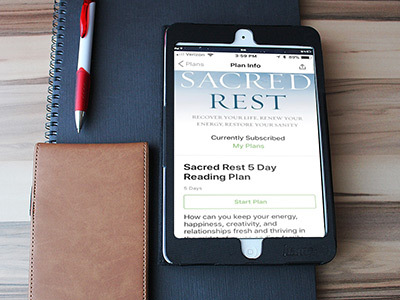 Others said they’ve gotten creative in connecting with God during the in-between moments of caregiving—journaling while a parent sleeps or praying “thought prayers” throughout the day rather than a big chunk of devoted prayer time. No matter the approach, the consensus was this: Time with God is crucial for surviving the demands of caregiving. 2. Rest whenever you can. We all know that getting 7-9 hours of sleep a night is important for our health. But when you’re caregiving, it’s simply not possible to get uninterrupted sleep sometimes. A midnight phone call from an elderly parent or the cries of a sick child pull you from the rest you so desperately need. While uninterrupted sleep may not be possible, I’ve found it helpful to go back to the advice I received as a new mom: whenever your baby lets you rest, let yourself rest. It may mean a 30-minute nap in the afternoon or going to bed an hour earlier at night, knowing that a midnight wake-up is inevitable. Whatever you need to do, rest is priority #2 after nurturing your soul. 3. Move whenever you can. 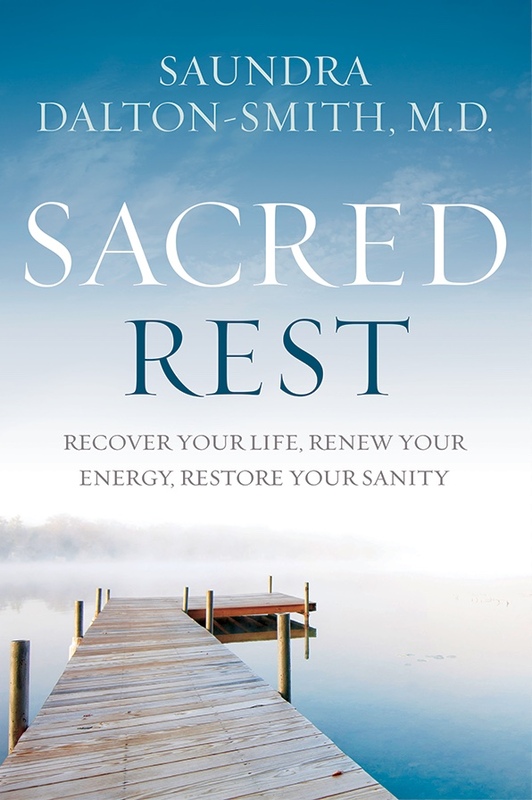 On the other end of the spectrum of rest is movement. Whether you had an exercise routine prior to caregiving or not, it’s more important than ever to move somehow, someway, every day. When my son was in the ICU following an emergency surgery, I found it helpful to walk the halls of the hospital. I even found a flight of stairs on a particularly stressful day and ran up and down, up and down, until I worked out the anxiety that had built up in my body. If you can, get outside and enjoy the fresh air while you walk. Especially if you’re in a hospital environment, the sights and smells can overload your senses. Fresh air and movement will do wonders. When life gets busy and stressful, healthy eating is the easiest thing to let slip. But your body needs the nutrients more than ever to keep you energized and strong. There’s definitely room for some comfort foods if you need them, but try to fill yourself mostly with life-giving foods that will keep you strong for the long haul. This is the easiest of all, because it can be done anywhere, anytime. Intentional breathing, even for less than a minute, can do wonders for lowering your tension and clearing your mind. I’ve found it helpful to follow a simple 5-5-5 pattern for deep breathing. Close your eyes, inhale slowly for 5 seconds, hold for 5 seconds, and exhale slowly for 5 seconds. Repeat however many times you need. To get the most benefit from the exercise, make sure you’re inhaling deep down into your belly. You want your lower abdomen to expand rather than your chest and shoulders lifting. God gave oxygen to us as a free gift, and this simple practice will re-energize and re-focus you for the caregiving tasks ahead. 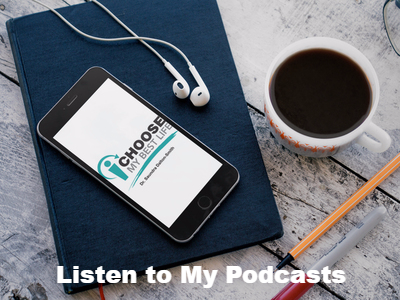 No matter where you are in your caregiving journey, choose one thing you can do today for yourself. Your care recipient is relying on you to be present and calm, and while that may feel like an impossible task some days, it is possible with God’s strength carrying you. Rest and trust in Him. I’m cheering you on! 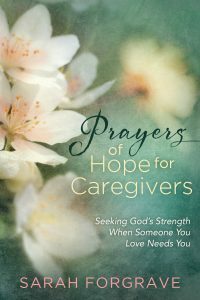 She is the author of Prayers of Hope for Caregivers and Prayers for Hope and Healing, a prayer devotional for those facing health challenges. 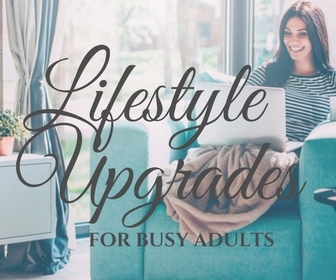 In addition to blogging about prayer, faith, and friendship on her website, she is a monthly contributor to TheChristianMommy.com and has contributed to Guideposts’ A Cup of Christmas Cheer and many other websites and anthologies. 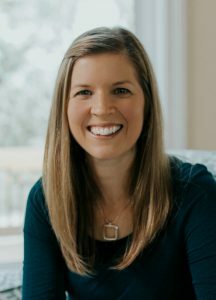 Outside of writing and speaking, Sarah is the busy mom of two preteen children and the wife of an entrepreneurial husband. When she has a moment to herself, she loves to shop the aisles at Trader Joe’s or curl up with a good book and a cup of tea. Visit Sarah at >www.sarahforgrave.com.